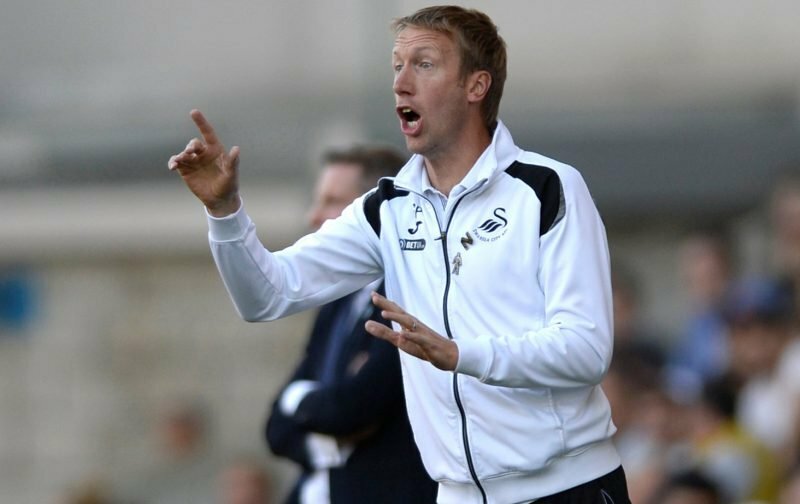 Some Swansea City fans were left puzzled by Graham Potter’s tactics during this afternoon’s 2-1 defeat at Derby County – which rounds off a miserable 8 days for the Swans after 3 consecutive losses. The Swans boss stuck with a back three after using that formation in the midweek home defeat against West Brom but made 2 personnel changes. Leroy Fer and Martin Olsson lost their places to Declan John and Jay Fulton. 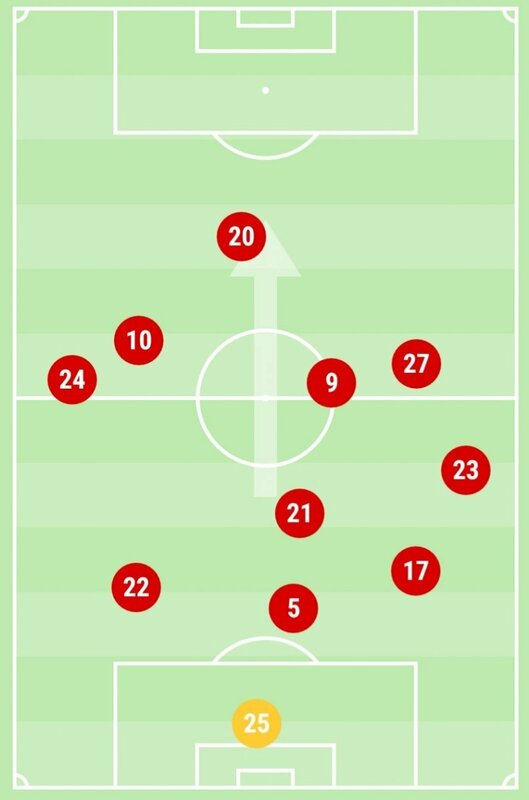 After sharing the first-half average team shape, some fans on social media were left confused by what Potter what attempting to do with his team. That can’t be what we want the shape to be. That’s not using your players strengths or putting them in the position to succeed. Once again, we saw Oli McBurnie operating mostly in midfield. He was even dropping right back and as a result, he made a mistake midway inside his own half, made a loose pass towards Grimes and Derby were able to steal possession and quickly score their second – effectively killing the game before half-time. There appeared to be a lack of balance too. Dan James was now playing effectively as a striker through the middle rather than as a left winger. McBurnie drops deep and averages a position near the half-way line with Fulton playing wide right in front of the wing-back Connor Roberts. As a result, Matt Grimes looks all on his own sitting deep in front of the back three with a complete lack of midfield support either side of him. The confusion didn’t stop there as Potter made changes for the start of the second half. 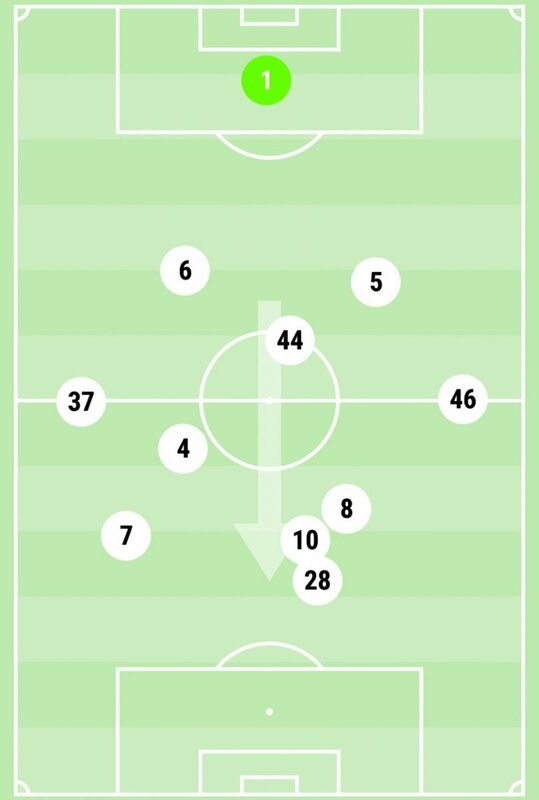 Rather than personnel changes to begin with, he switched to a 4-2-3-1 – moving Declan John to the right wing for about 7 minutes, temporarily shifting Carter-Vickers across to left-back. According to the radio … this is crazy ???? John on the right wing?????? He seems to be overcomplicating things for reasons that I, for one, don't understand. I assume he knows what he's doing, it would help though if the players did as well. 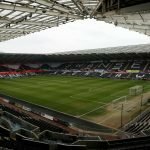 Potter’s first substitutions came 9 minutes into the second half leaving some fans wondering why he didn’t make the changes at the restart – rather than playing Declan John on his weaker side and out of position on the right flank. This begged the question then as to why Potter didn’t name something similar to this from the start with Fulton filling in for Fer after his poor run of performances. Montero isn’t a starter and with McKay not favoured as a starter either, it appears that Potter is trying to shuffle things around to cater for that. Right, this is better. Two genuine wingers on the pitch. McBurnie now needs to stay in the middle and not go off a wandering. 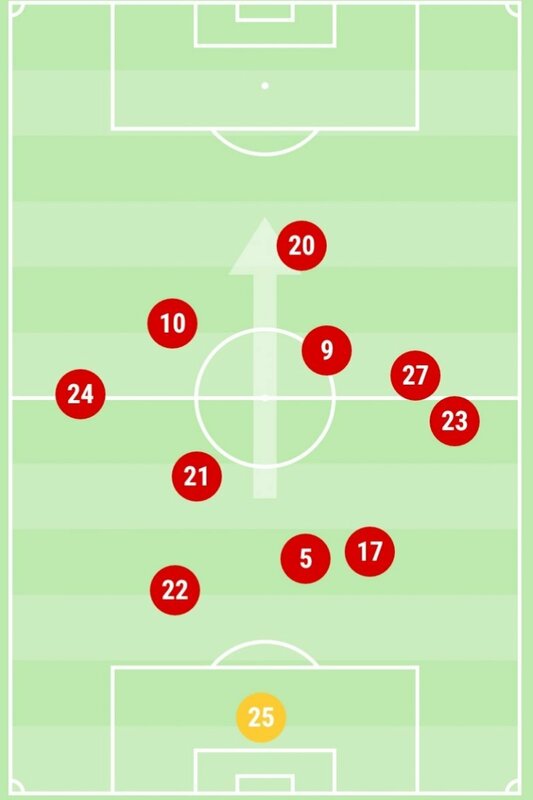 Our overall team shape will be skewed slightly as a result of the formation change early in the second half but here it is below (left, in red) based on each player’s touches during the game. Not the manager everyone thought he would be he has not got a clue how to pick a team we can see were our weakness is and he keeps tinkering with the squad to be honest the way things are we will be facing relegation before the new year that if them yanks will have anything to do with it no interest in our club at all just using the club for money for D.C. United they do not care how much money they spend on that club for they know we’re it is going to come from, From the sale of players out of our club HJ has got a lot to answer for and he has the odesety to turn up on home matches as if he has done no harm to the club he is nothing but a lier in all what he and the owner’s said after the takeover false promises just to line his own pocket. Well if they do not invest in one or two players in January well we will be lucky to stay in the division no thret up front and midfield is lacking passing the ball backwards all the time and set pieces well do they not learn the problem is we have not got tall or strong enough players who can do a job and the opposition can play on that and will Kaplan+Levien put any money into the club come January I do not think so they only wont club to take money out of the parasites i for one will not be putting any more money into thyre pockets as I will not be renewing my season ticket as I will find better things to do with my pension money.